The New Year means it’s a great time to start focusing more on staying healthy! Being healthy in general is important, but it becomes critical as you get older. Our bodies need to be cared for so we can keep feeling our best. The biggest factors in staying healthy are making sure you maintain a healthy diet as well as a good exercise routine. It can become difficult to manage these things as you get older, but the pay off is huge if you make the time. In general, a balanced meal for an adult consists of carbohydrate-rich foods, protein-rich foods, fruits, and vegetables. You should also focus on preparing meals with a few key nutrients; Omega-3 fatty acids, calcium, fiber, and potassium. Omega-3 fatty acids help prevent inflammation which can be a problem for some older adults. Calcium is another important nutrient, which helps maintain healthy bones. Lack of Calcium over a long period of time can cause your bones to become brittle as you age. Fiber promotes proper digestion and has even been shown to reduce the risk of heart disease. Finally, make sure your diet includes potassium. Potassium helps with the function of your body’s cells as well as reduces blood pressure. Potassium is also known for reducing the chance of getting kidney stones. Staying healthy isn’t just about eating healthy; you also have to maintain a good amount of exercise. Keeping your muscles toned is important as we age. Exercising regularly not only keeps us in shape, but can also help with reducing feelings of stress, anxiety, or depression. Each individual has a certain amount of physical activity that they can maintain, and it’s important to not to push yourself over the limit. Good ways to stay fit include daily walking, swimming, dancing, and participating in any sort of activities. Getting the body moving is what it’s all about. 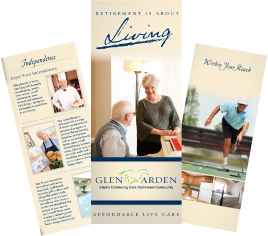 Glen Arden makes it Easy! 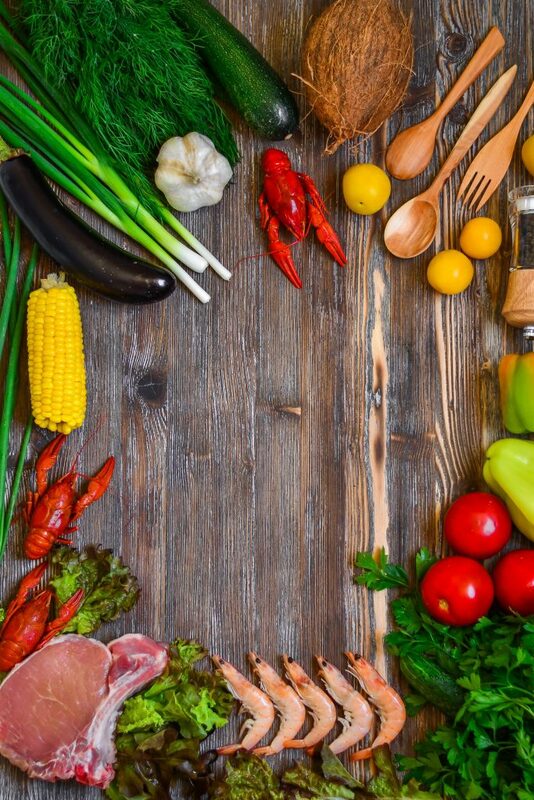 At Glen Arden, Orange County’s Premiere Continuing Care Retirement Community (CCRC), we offer a wide variety of ways for our residents to stay fit and eat healthy. We provide several dining options, with a wide variety of meal choices. We also offer aquatic workouts, cardio workouts, tennis, and a curves room with featured body workouts so you can stay fit. All in all, remember that it’s never too late to start being more healthy and active. This New Year make sure you are eating a healthy diet and maintaining a solid exercise routine so that you feel accomplished and better than ever!